Oleg (Homepage) wrote: :)Che fighi quei macchinari, sembrano dei piccoli robot. Il cane è anche bello, io ne ho uno uguale ma tutto amrrone! Adoro i cocker! George (Homepage) wrote: Love this one. Fantastic composition. 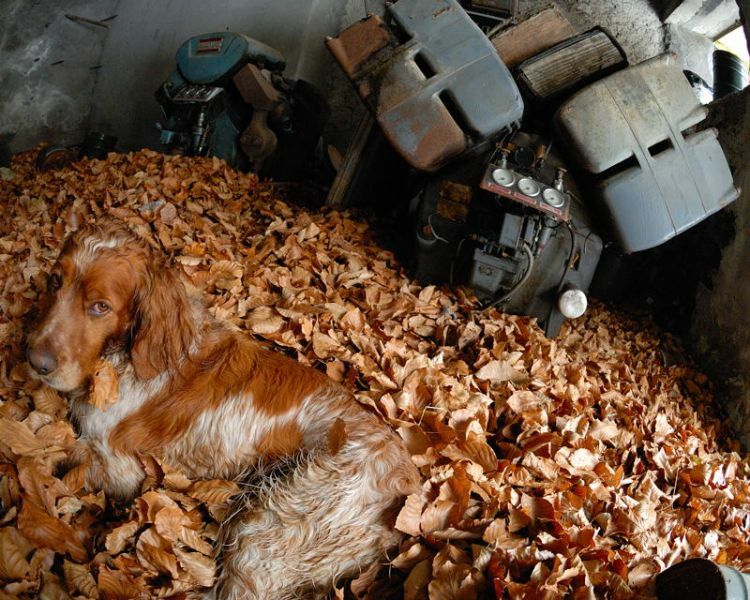 I think you've placed the dog in the perfect position and I love how it blends in with the leaves. Wonderful.